During my career as a sportswriter at the Chicago Sun-Times, I was privileged to go behind the scenes. I was able to have conversations, and see things, that shaped my views about the world of big-time college sports. There were times, though, when those insights didn’t fit into the rigors of daily newspapering. That’s why I am so excited about a new project I have undertaken. It’s a new college football website where we can go outside the box whenever we feel like it. Because there is no box. Best of all, I am involved in this project with two great friends–Chris Dufresne (former L.A. Times) and Mark Blaudschun (former Boston Globe)–who also have a wealth of knowledge they’re going to share. 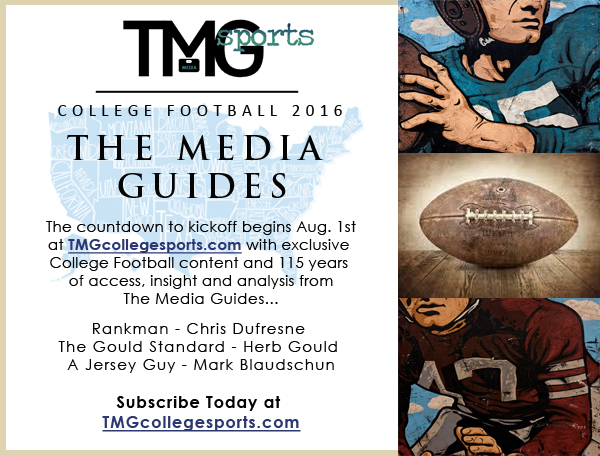 And so, we’d like to invite everyone to join us at our new college football website, TMGcollegesports.com. We have launched the site with three columns that should give readers an idea of where TMGcollegesports.com is headed. . . Chris explains how he was at Ground Zero when Jim Harbaugh’s coaching career took off. I take a look at why people should take a sip of the under-appreciated Western Seven in the Seven-and-Seven (Big Ten) Conference. And Mark delves into Big 12 expansion and how it could impact the college-football landscape. We’re going the paysite route, asking people for $19.95 for the entire season, with an early-bird rate of just $14.95 until Aug. 1. Will college football fans pay for in-depth quality? We’ll find out. In addition to weighing in on the current scene, the website format will enable us to pass along decades of background anecdotes and knowledge about college sports. When I covered Notre Dame in the ‘80s, for example, we spent an hour or more in the locker room after games. Coaches such as Lou Holtz and his defensive coordinator, Barry Alvarez, spoke candidly in a way that athletes seldom are able to do in the modern sports-journalism world. Chris, Mark and I built relationships on trust. Those relationships continue to this day in many cases. The athletes we knew as college kids and graduate assistants are now head coaches and athletic directors. Needless to say, we’re going to have fun with this. We remember when sports was less of a business and more of a game—and as aging Baby Boomers, we’re going to do everything we can to keep it that way. Herb Gould's historical novel, `The Run Don't Count: The Life and Times of Frank Chance and His 1908 Chicago Cubs,' was published recently. 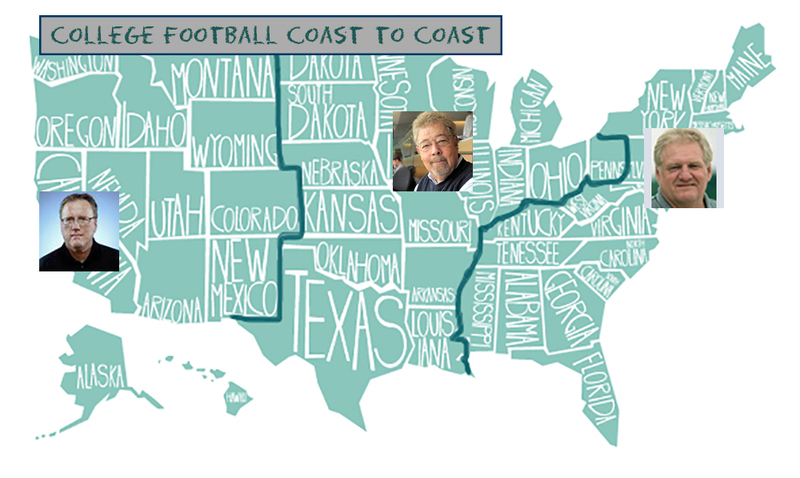 A longtime Chicago Sun-Times sportswriter, Herb is a co-founder of TMGcollegesports.com, an in-depth and off-beat national college football website, along with Chris Dufresne (LA Times), Mark Blaudschun (Boston Globe) and Tony Barnhart (Atlanta Journal-Constitution). He remains a contributor of golf and college-sports commentary at the Sun-Times. Herb also is the author of Victory March, an account of Notre Dame’s 1988 national championship, and has written for many sports outlets, including ESPN.com, Lindy’s football and basketball annuals, Chicagoland Golf and other golf publications. U.S. Open makes links golf cool, practical and fun. Especially fun.